Windows and doors are actually pretty special parts of homes or buildings. In that, they will take on dirt particles from both the inside and the outside. Windows, especially in tall homes and buildings, can really be tough to clean. You won’t want to hire a specialized service to clean them if you only have a couple at a high altitude. This can usually translate to not having your windows properly cleaned at all! If the window glass breaks for whatever reason getting fixed is another problem you’ll face. With doors, the main issue is that they can usually have problems in opening and closing up. Don’t let opening your door become as difficult as moving a rock before you give us a call! Working with glass is both difficult and dangerous. Especially when you are doing so at high altitudes like the ones that some windows can reach. We can make sure that you are safe on the ground while we take care of replacing broken windows! Other issues that can show up in windows is not being able to open or close them properly. Sometimes you can actually fix those issues by just applying special chemicals to lubricate the area. Other times the problems don’t have such a quick fix! When doors develop an issue similar to the one that we just described sometimes the best thing that you can do to fix it is to replace the entire door. Some wooden doors will have an easy type of system that allows you to only loosen a couple of screws from the door to bust it lose. 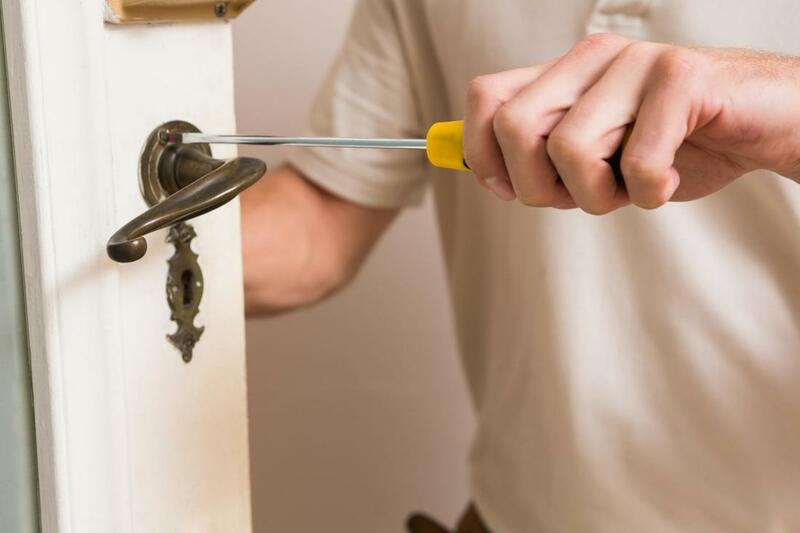 All you have to do is bring in a new door and tighten up the screws to the new door. At times though some gates will have a lot more complex systems. Also, keep in mind that if the problem is coming from the outside the new door will typically face the same type of issues that the new one did! Some doors and windows can really benefit from a thorough cleaning service that we are able to provide through our pressure washing services. That is not the only thing that we can do to help your windows and doors remain working properly for a long time. We can also check all of the mechanisms that help them open and close regularly to make sure that they are all working properly. If you want to be proactive about your window and door maintenance give us a call!